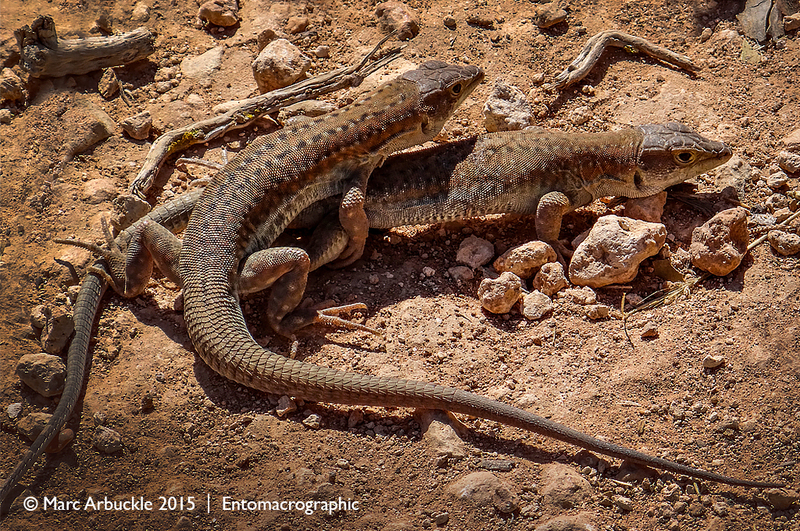 Ultimately the combination of heat and wind made photographing insects in Cyprus rather tricky so I turned my attention to some of the lizards. 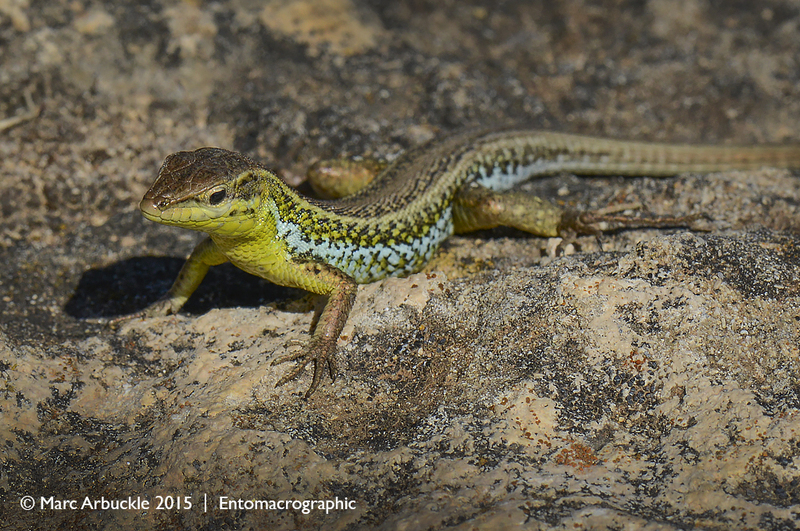 Pictured above is the European snake-eyed lizard Ophisops elegens and very pretty it is too. A characteristic feature of Ophisops species is their lack of separate eyelids. Instead, the eye is covered by a transparent ‘spectacle’ similar to that of snakes, giving rise to this species’ common name and which gives this lizard something of a ‘staring’ expression. Also fairly common were these Schreiber’s fringe-fingered lizards Acanthodactylus schreiberi which are on the IUCN red list of threatened species. Listed as Endangered because of a serious population decline, estimated to be more than 50% over the last 12 years. For example in nearby Turkey it is now very rare. The fringe of pointed scales along their long, agile toes allows them to run easily across loose, hot sand. In Cyprus the subspecies syriacus is still locally common and I would often see them scuttling across the bare ground in front of me.